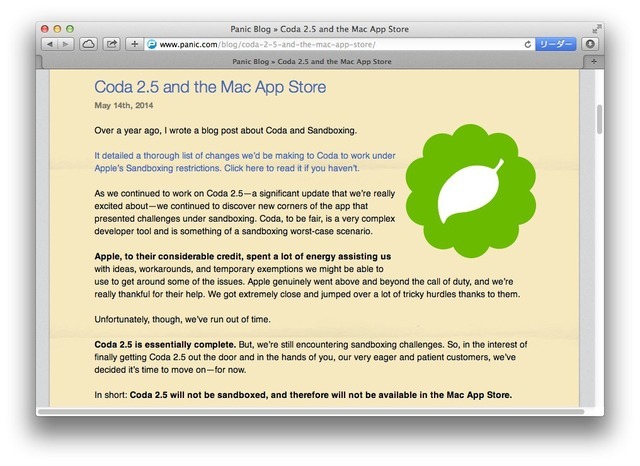 Panic、Coda 2.5でのSandbox化を断念しMac App Storeではリリースされないことを発表。iCloudの代わりにはPanic Syncを提供予定。 | AAPL Ch. Happy to see @panic taking Coda out of the Mac App Store! Hopefully more developers follow their lead.